Emerson Enterprises is proud to be a supplier of GAF roofing products, which are always crafted and built with the homeowner’s best interest in mind. 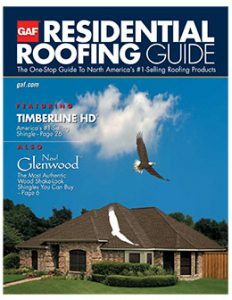 GAF knows that roofing is about more than just shingles, which is why they engineer their systems to encompass both leak barriers and ventilation. Ventilation is a major factor when it comes to keeping your home and roof in top shape, which is why GAF offers solutions for homes all across the Kansas City area with Cobra Attic Ventilation. This ventilation system helps remove excess heat and moisture from your attic, without putting any wear and tear on your shingles. This state of the art ventilation system helps to increase your home’s energy efficiency, while also extending the overall lifespan of your roof. While shingles are the primary protector of your roof, GAF knows that sealing your home from as much penetrating water as possible is the secret to a long, sustainable lifespan. 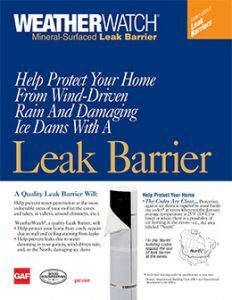 With GAF’s Leak Barrier, your home is wrapped and sealed from any moisture leaks, whether they be caused by damaging weather, or even simple home settling. Whether installed on a new structure or added onto an existing home, this barrier will keep your home and roof protected and working in peak condition for optimal time. Lifetime Shingles, Ridge Cap Shingles, and even basic Starter Strip Shingles, GAF specially crafts each shingle to ensure quality, efficiency, and durability for a lifetime. Whether you choose a color scheme like Golden Prairie, Weathered Wood, or Chelsea Gray, GAF has a siding option perfect for your budget and stylistic wants, that will keep you and your family protected for years to come. Invest in GAF for all of your siding needs today, and protect your home for a lifetime.